Choose the raw data template. The raw data template is just that, your financial data and nothing else. 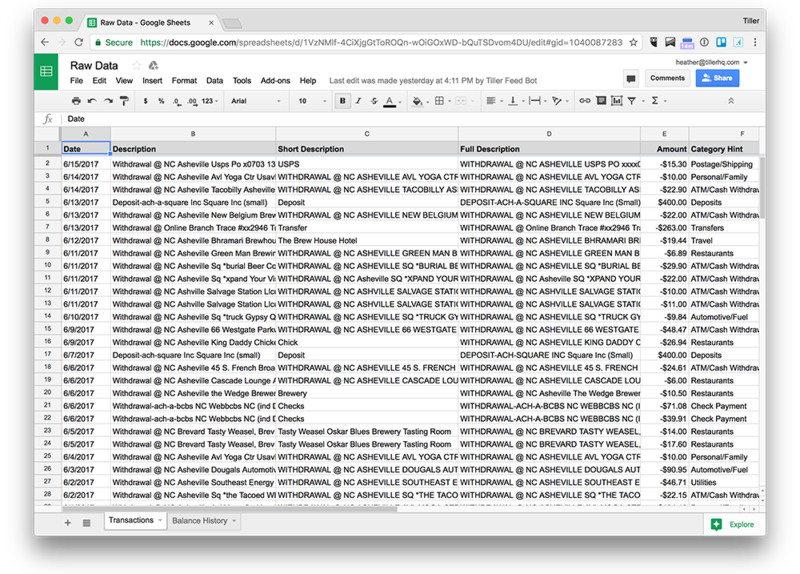 All supported Tiller columns in the Transactions sheet.